We're back at it. This is another slightly more recent purchase, meaning it's a Polish Pickup purchase so it can't be much more than a year old. 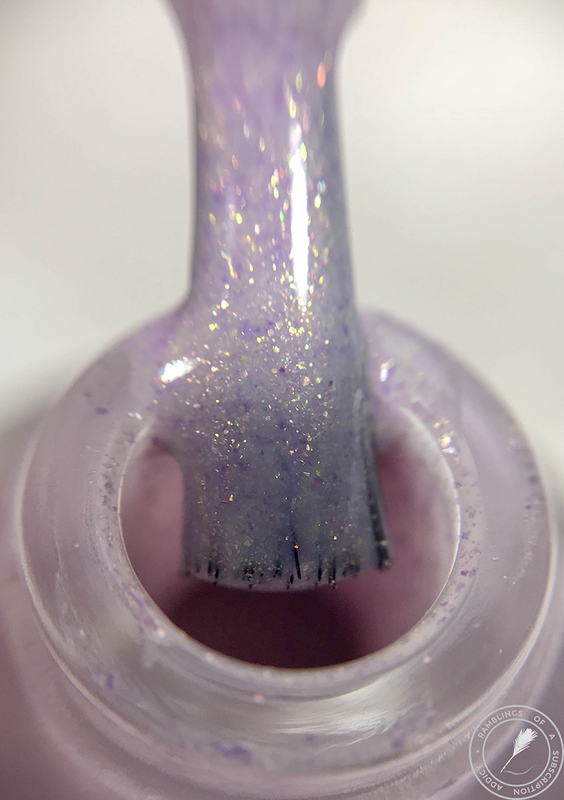 It's actually PPU week this Friday so make sure you've checked out my review of one of the polishes, as well as all of the other reviews as well! (Support bloggers/swatchers, y'all.) 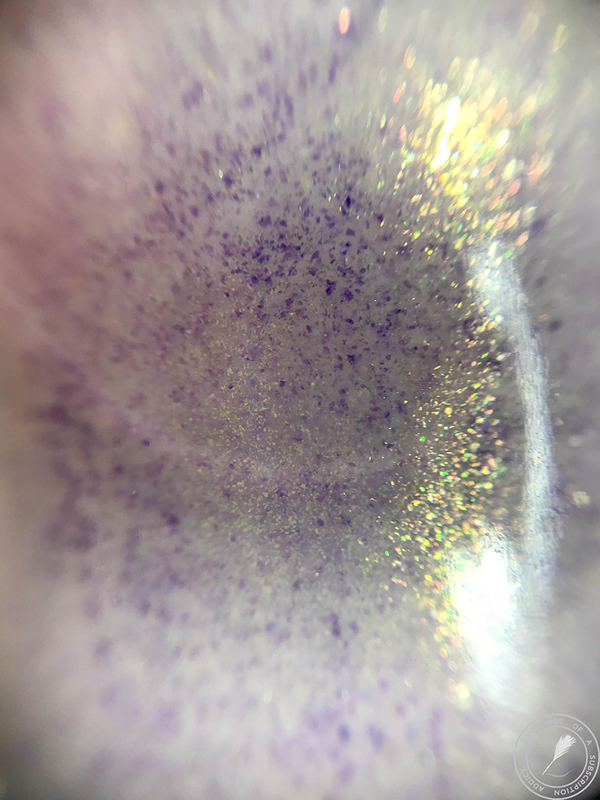 This is from July which was the 'drink' month, but it wasn't really like most of the other polishes from that month. 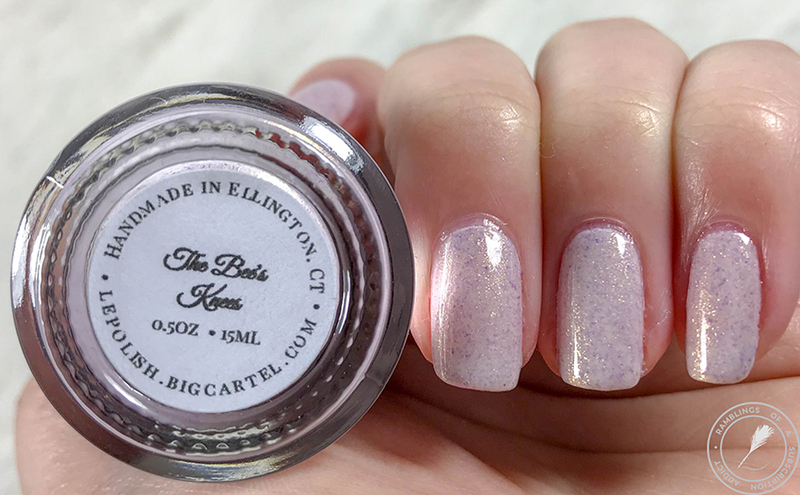 The Bee's Knees is a white crelly with purple and yellow microflakies and gold shimmer. As I'm looking at my swatches, I can see a bit of VNL, but I didn't really see it in person. Maybe I'm crazy and seeing things, who knows. I am confused at how this is a white base because this most definitely looks lilac/lavender. 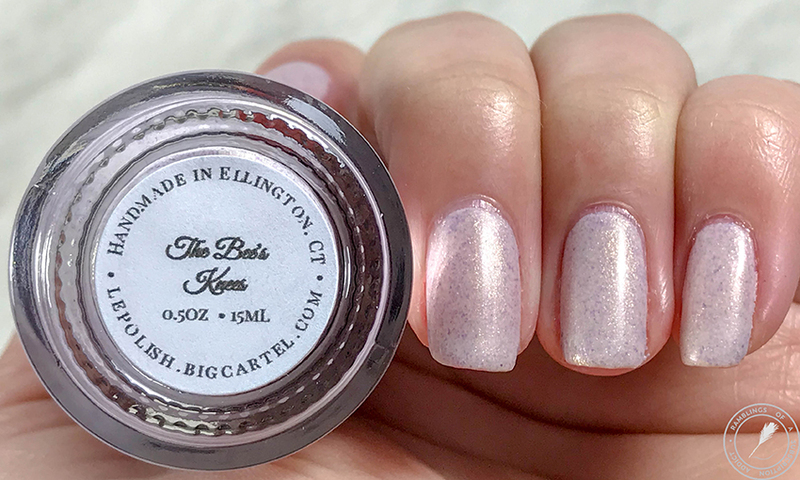 Even matte, the shimmer doesn't stop. It might be slowed down a bit, but you can definitely still find it!